Luxury condominiums in wooded, park-like setting with pond and mature landscaping. Desirable central location just a short walk from U of M Stadium, golf course and Briarwood Mall. Take advantage of the outdoor pool. 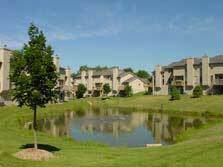 Just click below for details of recent sales or available units at the Brookside Commons development.